Royal Air Force (RAF) jets and a Royal Navy warship have escorted the Russian aircraft carrier ‘Admiral Kuznetsov’ as it passed through the English Channel on its way back to northern Russia. 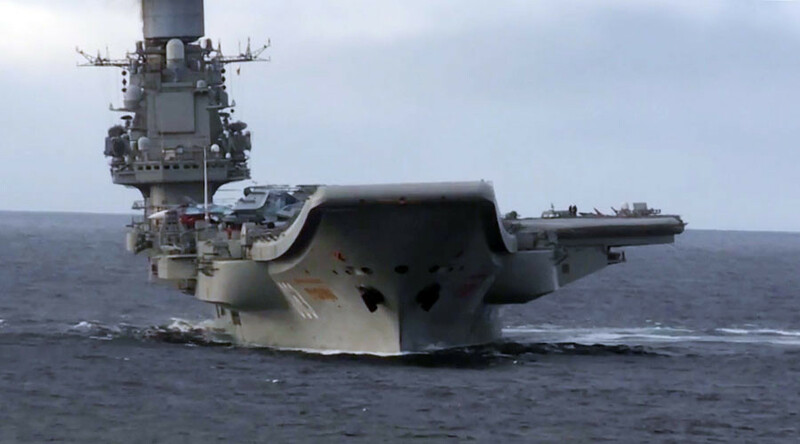 Russia’s only carrier, capable of transporting more than 40 naval aircraft, is on its way back from the Mediterranean Sea, where it was involved in operations against Islamic State (IS, formerly ISIS/ISIL) in Syria. Russian media quoted Defense Ministry sources last November who said the naval group would be used to attack terrorist targets on the outskirts of Aleppo in a bid to prevent more militants entering the city. British politicians were quick to capitalize on the fleet’s movements, which have become routine since Russia began operations against IS and other terrorist groups in Syria at the request of President Bashar Assad in September 2015. Russia has always defended its involvement in Syria as following international law because it was invited to assist the Syrian government in its fight against Islamists. Western powers on the other hand are operating in Syria without permission from Damascus. Last year the ‘Kuznetsov’ attracted similar attention from the UK government when it traveled south past Britain on its way to the Mediterranean. A Royal Navy destroyer and frigate were scrambled in response at a cost of £1.4 million ($1.76 million), according to the Portsmouth News. The large expense comes at a time when the British navy’s finances are in dire straits after the Ministry of Defence (MoD) ordered patrol vessels it did not need.